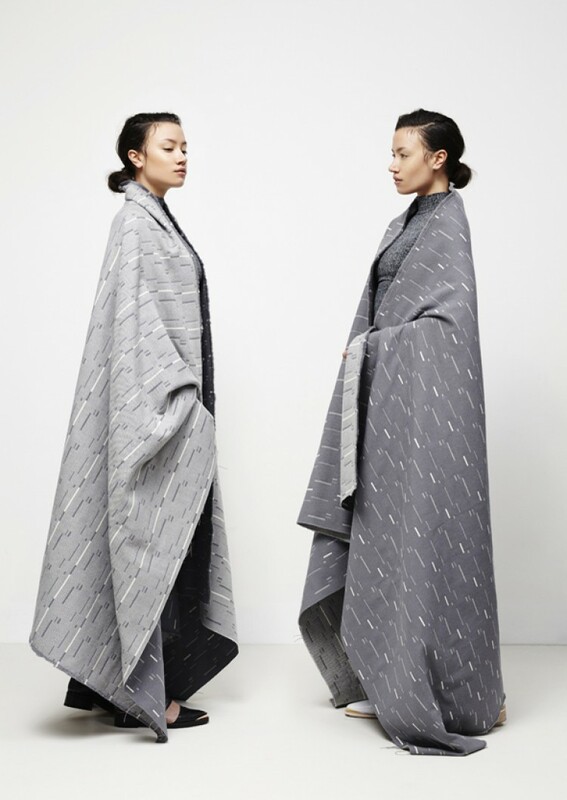 One of my favourite textile designers is Dutch designer Mae Engelgeer. 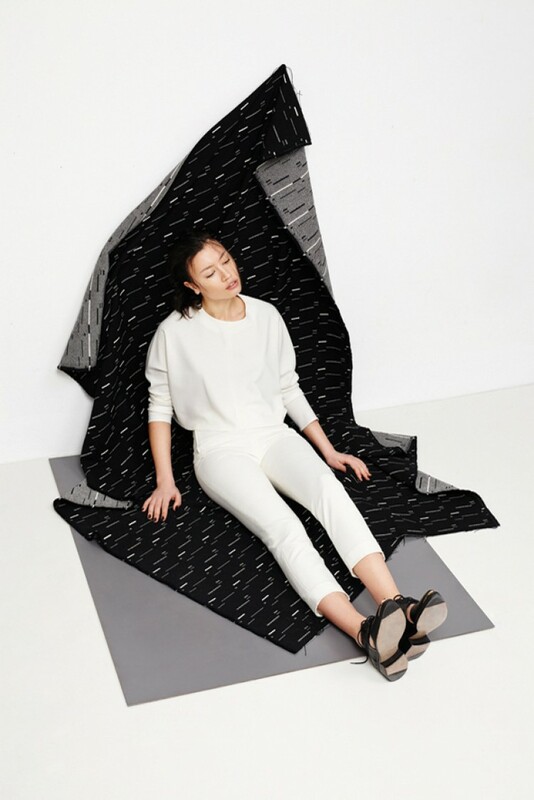 She designs interior fabrics in graphic patterns under the name Studio Mae Engelgeer. One of her first and well-known works is a collection of tea towels and blankets with a zigzag pattern in pastel colours with neon orange accents. I love how she combines these soft and bright colours in her patterns as it adds a surprising detail to her work. Looking at her products what appears is that a central aspect in her designs is craftsmanship. You can really tell that a lot of effort has been put in creating both the fabrics and the patterns. 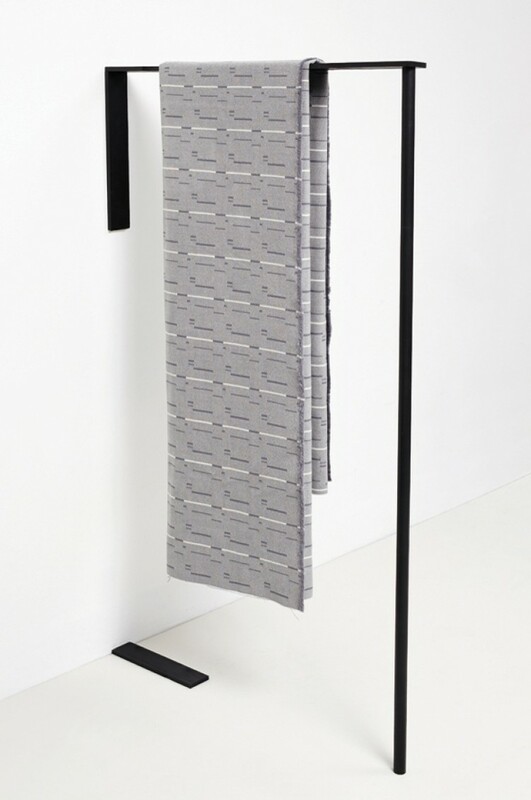 Recently Engelgeer designed a series of three furniture fabrics in different grey tones, and in black and white with a striped pattern that is different on colour on both sides. These blankets are produced in Scotland by using ‘the finest wool and craftsmanship’ as can be read from Engelgeer’s website. 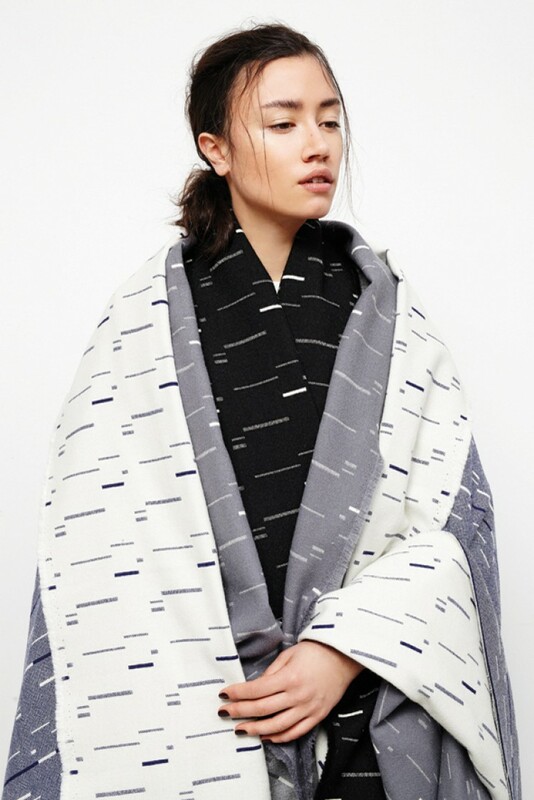 It is funny how by presenting these blankets on a person they could also be seen as a piece of clothing. If that had been the intention, I’d definitely wear an enormous cape like that.